Registration closed. Contact Robyn.MacBride@perintonyouthhockey.org to be added to waitlist. Registration closed. 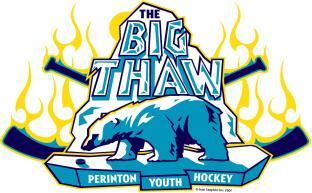 Contact bigthaw@perintonyouthhockey.org to be added to waitlist. Why play our Big Thaw Tournament? Each participant in championship game will receive a tournament award. Championship Game Player MVP Awards for each team in finals. All tournament hotel accommodations are to be made exclusively through our tournament travel partners. You will be provided with a link to hotel booking upon registration. PYH prides itself on running a House Tournament based on fair and competitive play on the ice and fun all the time.